"So," they said. "this list you were going to make: the one with the new things to try. If all it has is knit a sock using this pattern, turn a heel using that..well, that's not exactly creative and life changing, is it?" "Ah," I said. "It is and it isn't. This time last year, when I had just started knitting socks, I would never have been able to work out the maths to let me adapt a pattern for a new kind of heel so that it would fit my smaller kind of foot. But I can do that now; and if you'll stop standing between me and my sofa, I'm about to do it right this minute. Because having socks which fit CAN be life changing." So they left me to it. And I knitted my Balbriggan heel - for the first time - and I'm very pleased with it. It was difficult at the beginning (because the instructions in Sock Architecture turned out to be misleading; but quick and easy in the end, after a google led me to this lovely article (thank you Archives and Old Lace), which has everything a sock knitter needs to know about Balbriggan and its heel pattern. 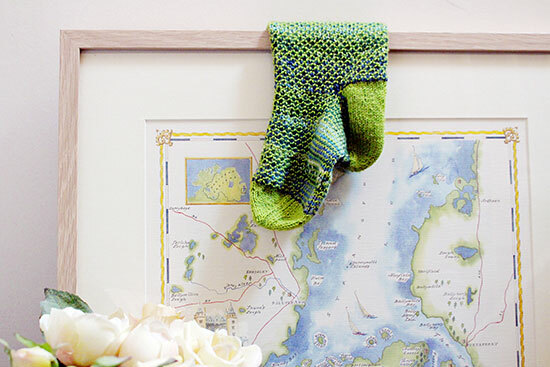 If you aren't a sock knitter (though, if you knit at all, you don't know what you are missing), I'll just quickly tell you that Balbriggan is a seaside town north of Dublin and once upon a time it was famous for its Sock Mill. So, an Irish Balbriggan heel seemed like a good thing to add to my Sock Of the Month for March. The actual sock itself is in Broken Seed stitch, which also sounded right for the time of year. It's hard to get a photo because it leaves a small, neat turn: you'll have to trust me that I took the instructions, learned something new, and now have a sock fit for Queen Victoria (who wouldn't wear anything else, they say). Only the one: I have another one to do. I'm not sure how she'd feel about socks out of leftovers either. If you've been following along, you might already have noticed that the colours have appeared on my socks before: of course I was going to use green; but I also added in oddments of lovely Arne and Carlos variegated yarn and now I have room in my wool drawer for something new. Which brings us back to where we started. 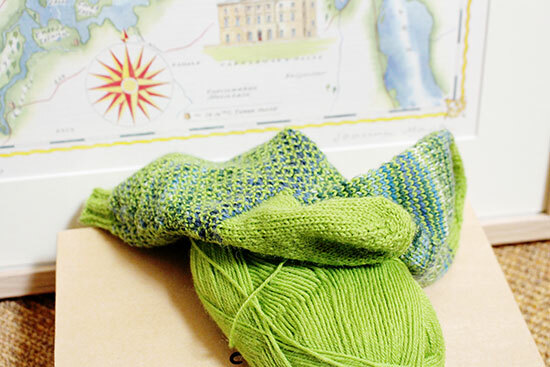 This weekend, for the first time, I knitted a Balbriggan heel: did you try something you'd never tried before? learn something new? You could write a post about it. Make a memorandum, on Monday. Last week Gail, Becky, Deb, Helena, Eileen, Mitra, Mary-Lou, Maggie, Mardi, Beverly, Jane, Ladkyis, Cheri, Karen and Alison all shared what was new. We had fog, flooring and family trees, a birthday, lots more besides. Give 'em a wave! Have a good week everyone. I love that shade of green. Your socks are amazing! They look like they would be all cozy to wear. I'm not surprised that Queen Victoria wore them all the time. I wear socks all the time too, but mine aren't nearly as cute! I'm just beginning to realise there's a whole new language out there! Fabulous stitch in the sock and how lucky it's made space in the wool drawer for April's project. Your sock is beautiful and I really like the way you have photographed it! Speaking of which, and in relation to St Patrick's, I learnt this week-end that it was bad luck to point to a rainbow while on a boat. The rainbow being the link between this world and the other, it would sure precipitate the boat right into the other. Well they will see you coming in those! You won't need a fluorescent coat. Ok I'm just jealous because I couldn't manage any kind of heel let alone a Balbriggan one! Well done! What stunning colours, and a lovely pattern - I am in awe of your skill and talent, Sian! Not to mention the prettiness of your presentation. I bet St. Patrick would have been grateful for a pair of those :). I can hardly understand your post about it let alone even attempting those patterns/techniques ... but I do love your socks! They're one of those things that I just never ever contemplate ever being made from scratch. As if they just appear - fully formed somewhere. On trees maybe. Happy Monday to you Sian. Hoping this week's a good'un. Love the bits of blue in with the green. Well done on your heel turning - whatever it might be called. I wouldn't even begin to attempt something so complex. I am in awe of your sock knitting skills. Lovely colours in this one. Thanks for sharing information about Ballbriggan's mill & stuff about Queen Victoria - I like the learning about regional impact & landmarks. The colours of your sock are so pretty, very fresh. The map background is a treat. Lovely to learn about this heel. I love my knitting but have to admit that the thought of socks scares me lol! Perhaps I'll have to challenge myself to knit a pair once I have finished knitting Hugh's sleeveless jersey (which is taking ages as it has a cable pattern in it! What a beautiful sock!! 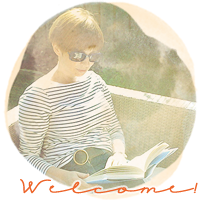 I have discovered something new and blogged about it...Starbucks gift card collecting! That is the most wonderful shade of green, and the stitches are gorgeous as well. A sock that should be worn to be seen, unlike most of mine that one rarely glimpses. My weekend was spent mostly in the car, but we got home from Florida in just two days, so we have a bit more time before leaving again to spend Easter with Sarah. A well fitting sock could change the world! Add in a pair of shoes that feel just right and you are fit to run for president...in fact would you please, have you seen our scary choices here in the states? Love the photo! It makes me so happy in it's spring green! Hugs! P.S. obviously when you run for president, we have some ice cream flavors that need to be added here...you guys are SO LUCKY! You're certainly doing a lovely job with your sock knitting . . . and learning new things along the way! I really like the combination of greens/yarns you've used for this one! Oh, I love these and think it is very much life changing when your socks fit properly! The balbriggan heel sounds so mysterious and so quintessentially Irish! Very happy socks! They look great and the perfect colour for March. Well done you on being able to adapt a pattern, I've always been afraid of attempting that.